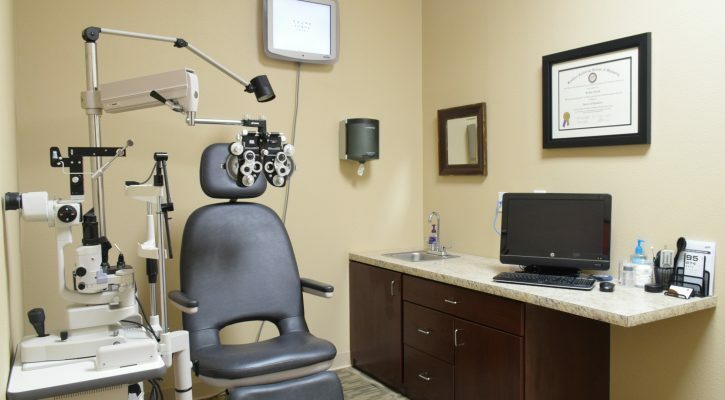 A comprehensive eye exam includes a measurement of how sharp your vision is (visual acuity), a prescription for glasses, peripheral vision test, screenings for glaucoma, cataracts, macular degeneration and many other eye conditions. We also provide testings for colorblindness, strabismus (eye turn) and depth perception. The exam includes a dilation of your eyes which allows the doctor a better view of the internal structures of your eye. We also perform digital retinal photography which provides a high definition picture of the retina to allow our doctors to better monitor for changes in your eyes. 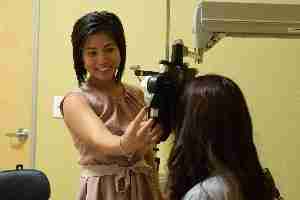 An eye exam is recommended every year to maintain optimal eye health. Even if there are no changes to your vision, it is very important to screen for early eye diseases each year. Dr. Cheung has been extensively trained in the optics and diseases/conditions of the eye. Her academic training included a four year undergraduate degree program followed by a rigorous four year curriculum at the Southern California College of Optometry. Dr. Cheung also completed a one year residency in diseases of the eyes at Eye Care Associates of Nevada. Read more about Dr. Cheung on her biography page, or call our office at 702-876-2020 to schedule an appointment today.